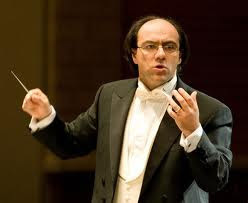 Simeone Tartaglione has worked for two years to get the Newark Symphony to reach beyond their already fairly high level of achievement and on Sunday, May 20, he showed a large audience that he has come far in achieving that goal. 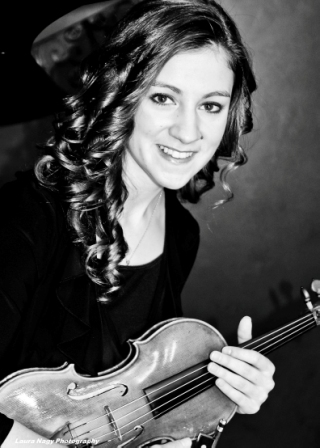 Concerto winner Alyssa Blackstone was extremely confident and businesslike in her approach to the Violin Concerto No. 5 in A minor, Opus 37 by Henri Vieuxtemps. Ms. Blackstone has no problem projecting above the orchestra, even in the lower register of the violin. She has been studying with Sylvia Ahramjian and has reached a high level of technical proficiency. Her technique and physical strength in playing are the tools she will need as she begins to work on the subtler nuances of phrasing and interpretation in college. The second piece on the program was the titan to which I refer in the title: Gustav Mahler’s Symphony No. 1 in D Major. This symphonic poem, called The Titan by the composer, is such a difficult one for any orchestra that few put it on the program. The very large orchestration is the first hurdle: eight horns and quadruple woodwinds. It is hard to gather the musicians or even fine a venue with space for all those musicians – but Maestro Tartaglione recruited enough players to get the mammoth Mahler sound. There were small areas which were a bit rough, but all in all the mood of the performance evoked what I had been hearing on a CD of Zubin Mehta conducting the same piece with the Israel Philharmonic Orchestra. The highlight of the Mahler performance was the third movement’s wild and raucous funeral dirge based on a wood engraving showing animals as pallbearers for a hunter’s funeral. The reversal of roles was reflected in a reversal of the expected music – Mahler based the dirge on the German folk version of the tune we know as Frère Jacques and added jazzy, irreverent klezmer interludes. The orchestra followed Maestro Tartaglione in this ironic and abruptly changing music with ease, dipping into the whirling tunes smoothly and tunefully – even playfully. The crashing and clashing symbols and timpani were spot on (with excellent playing by percussionists Debra Bialecki and S. Mordecai Fuhrman on timpani and Gordon Engelgau on cymbals as well as Sergei Dickey on bass drum), but I could have done with a little less thunderous affect. Next year’s music will seem like easy street now that they played the Mahler. Maestro Tartaglione and the Newark Symphony deserve congratulations on a great achievement.